This year was one in a long while where I actually failed to get a true sense of the film industry and its trends. Usually even as I miss out on most films and only catch the major releases there is an understanding of where things might be headed in the coming year. This time I struggle to take the pulse. But who cares, right? I watched some films, now let's talk about them! This is a tough one, because I fear it may still be lurking among the films I've yet to see from 2015. There is so much I just have not yet gotten to, from the bizarre Shankar flick I to the Randeep Hooda (still! fave!) starrer Main aur Charles. But as it stands now I think my favourite is Piku, the lively little road trip drama about a fantastic woman and her eccentric father. All performances simply impressed and while not a film I will endlessly rewatch it was nothing if not enjoyable. There were a lot of disappointments this year, as it seemed like the more hyped up I was for an upcoming the less it delivered the goods. But I think I was most apathetic towards the R. Balki directed Shamitabh, which was (very) partially shot in my beautiful home city of Helsinki. The film started off with promise but seemed to continue as an unbearable slog towards an unknown and quite uninteresting ending. It's a story of stardom, rise and fall, friendship, love, and all of these themes that just don't quite come together. The gimmick surrounding the plot was probably based completely in modern science but I didn't really fully buy into it anyway. Dhanush and Amitabh both do fine, but it just doesn't become as moving a film as it desperately wants to be. Bollywood presses will always highlight supposed arguments and bitchiness between successful women, and this year was no exception, but what I also kept noticing in the press were news items about top actresses refusing roles because they weren't substantial enough, despite them being opposite a very successful male lead. It seemed to be pointing towards a trend, where heroines themselves are such guaranteed box office draws that it matters to them what their own role is, and they get a pick of the best, so they also know their worth and demand more, knowing their own box office power. Actresses like Deepika Padukone and Kangana Raut are leveraging their success for more substantial roles and this is fantastic for everybody. I may be accused of over-optimism here, and I'm sure things will be slow to change, but it is a very positive change, and I look forward to seeing how the industry develops in this regard. Another favourite from this year that I'm unlikely to rewatch, but I still have to give a shoutout to this film for an excellent mood, great leading performances and sense of milieu. 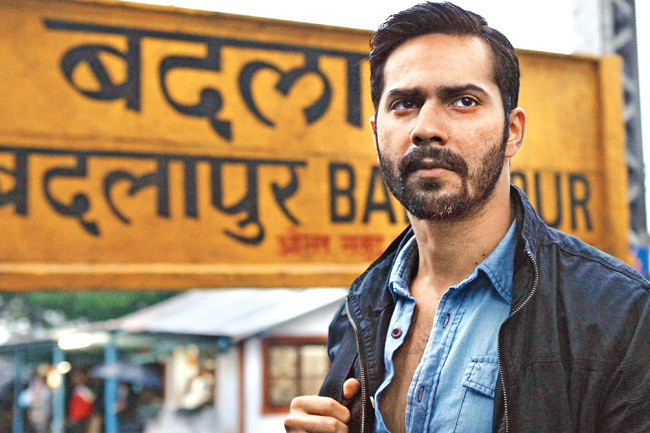 On paper, Varun Dhawan was set to blow me away in 2015, what with the ABCD sequel and Sriram Raghavan's Badlapur. Sadly both films ended up being on the films I enjoyed the least, Badlapur for its pointless, sickening violence that rendered a character arc uninteresting to me, and ABCD2 for the sheer hackiness of the script, which was more stupid that it had earned the right to be with the lovely dance numbers. Varun was not bad at all in either film but the fact I disliked both lead to this being a rather underwhelming year for a guy who I still like a lot and hope to see in films I like better next year. The Embarrassingly Long List of Films I Will Probably Watch: Shaandaar, I, Main aur Charles, Tanu Weds Manu Returns, Dum Laga ke Haisha, Bajirao Mastani (maybe?). You can keep your old man Khan movies, from Phantom to PRDP to Dilwale, I'm sorry to say. Will any of the newer heroes step up to the plate and become a must-see favourite of mine? Do I need to continue to tamper expectations so as to not be as disappointed as I was in many films this year? Is Shahrukh Khan headed for an interesting turn with his two new movies or will it be same old same old? Will somebody bloody put out Tamil movies with English subtitles? And finally, looking at the 2016 line-up, are biopics going to become as omnipresent in Bollywood as superhero/comic book films are in Hollywood these days? Gosh, I love Indian films so much and I have such an annoying habit of abandoning them and this blog every now and then. I should be able to manage one post a month and at least one film a month (new, old, Hindi, Tamil, whatever it may be), even if it's a shorter review. I may never get to the days of 100 posts per year but 12 should be manageable. At times a worthwhile talking point precedes the reputation of a film so much that while it doesn't quite color my viewing, it does hamper me with preconceptions. This was the case with Baahubali, the first part of the big budget Tamil/Telugu two-parter fantasy action film, and its alleged sexism. Yet, there are a lot of other facets that deserve discussing, too. In a year where I barely watched Indian films (and also neglected this poor blog of mine) it makes sense to begin the new year by breaking down the biggest blockbuster of the previous year. Shiva (Prabhas) grows up below a magnificent waterfall, above which he knows there is a land he must get to, even as his mother forbids him not to climb it. But climb he does, to discover the warrior Ananthika (Tamannah) who he has been besotted with ever since he found her mask on the bottom of the waterfall. 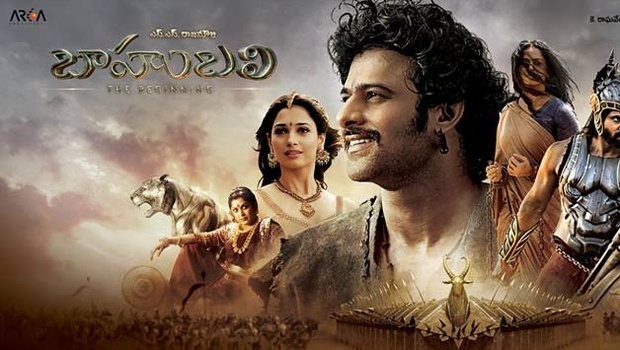 Ananthika's mission in life is to free the queen Devaseva (Anushka Shetty) from the clutches of the evil king Ballavadeva (Rana Daggubati), and Shiva joins her in this mission, unaware it is all his destiny. In terms of the good, the look of the film is spectacular. The bombastic Southie masala style has always fit the fantasy-history stories, and it does here as well. The story never stops moving, and is so vast it can't be contained in this single film. I absolutely loved Rana Daggubati's horrendous villain and thought all female leads did fantastic. Prabhas is an actor I've never quite become a fan of, but he continues to be just fine in my books. I liked how well incorporated the visual effects were, though not flawless, particularly in the massive crowd sequences. These scenes owe a lot both in terms of technology and inspiration to the scenes in Jackson's Return of The King, and while the inspiration is cringeworthy, it feels okay to place such a scene in a new, Indian fantasy concept. The racism in depicting the enemy as human but distinctly dark-skinned savages who seem to speak a language aping an African language is so offputting it turns comical. Then there is the sexism, which has inspired criticism better written than mine, as well as counter-criticisms. It is gross and objectionable but it is also just so tired. The reduction of Tamannah's Ananthika from a woman with a mission, a skillset and if not a fully fleshed out characterisation then at the very least potential for one, into just a pretty young thing would be annoying in and of itself but it goes further. This change is brought on by the hero, sneakily, because his infatuation with her looks renders all other facets of her unimportant. I suppose there are more forgiving interpretations of this that one could conjure up, but the film is pretty content in this laziness. It's strange how I've never been that annoyed with the overblown masculinity of Southie heroes, or even the casual sidelining of the heroines that comes with it. It is only these extreme cases that truly get under my skin. The next installment in the Bahubali series promises more backstory on Anushka Shetty's character, which I am cautiously optimistic about because she is among my favorites in the Southern industries. Naturally the sequel could be as bad as the first film in the exact same ways, but I'm hopeful. As it stands, Bahubali: The Beginning is a decent spectacle elevated by its visuals and success, but not the story or its characters. Mini reviews: the Films I Actually Liked Edition. NH10 - I went in not knowing much about this one beyond the initial premise of an urban couple getting mixed up in rural violent disputes along the highway. I also probably won't ever go back to this one, such a brutal watch it was, but this one really nailed so many things I didn't expect it to. Anushka Sharma delivered a career-great (or career upper echelon but hopefully not the best we get to see out of her yet) performance. The mood was fantastic throughout, capturing the terror and the panic and the constant threat of violence looming over. The soundtrack underscores the mood, and the milieu is perfect for it, too. Enjoyable, but tough, precisely because of how real it feels. 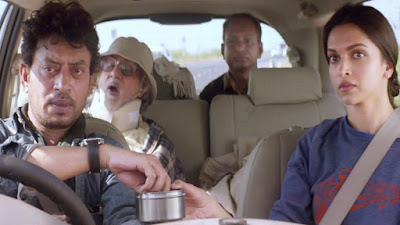 Piku - This tale of bowel movement and road trip and family bonding and tentative romance feels like precisely the worst kind of "quirky" film you could imagine, and yet it's one I'll probably find myself recommending the most. The strength of the script, that immediately allows you to feel at home with these characters, added to the strength of the performances (Deepika has probably been this good before, and even so this feels special) simply makes Piku a delight. I just sat there, watching it, being awed and delighted by its world and its humour. Amitabh and Irffan are fantastic here, as well, but their value has been demonstrated before, whereas Deepika Padukone is making great strides as of late. I love that this was a hit. Sunrise (2014) - A French-Indian co-production was one that I felt safe taking my Bollywood-hating friend to, as the whole thing clocked in around 90 minutes of running time and did not seem like your standard crime fare. 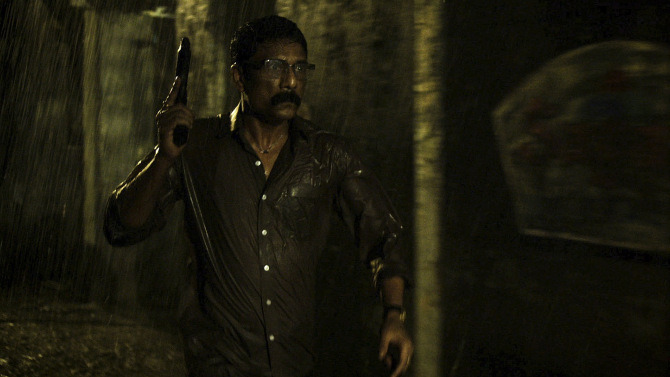 Adil Hussain leads in this noir indie where rain is a constant and the narrative dips in and out of reality as we follow the cop Joshi chase shadows on the streets of Mumbai as multiple children are turning up dead. A sort of b-plot follows a group of dance girls in a heart-breaking portrayal of the underworld. I don't particularly want to get too deep into everything that happens, as the film (directed by Partho Sen-Gupta) is so small in scale and its objectives that it's best viewed without knowing too much. I saw it at a festival, so I don't know how widely it's been released yet, but worth looking out for. Mini reviews: playing catch up. 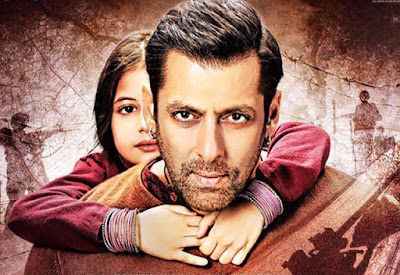 Bajrangi Bhaijaan - When you haven't been watching any Hindi films for months and months on end, it feels rather lovely to be swept up in the melodrama again, and this Salman Khan starrer certainly fit the bill, what with Pakistan-India unity themes and the missing mute child of it all. I can't say I hated it, but towards the end it was just a tiny bit too much. Loved seeing Nawazuddin Siddiqui pick up that mainstream paycheck, even if I wasn't huge on his role in this. Oh, and Kareena Kapoor Khan was in this film, too, a fact I barely remembered until just now. I don't want to say she should pick better films, since maybe none are coming her way any more (lamentable fact of life for married actresses) but I do miss her putting in better work than this. It is exciting to see Priyanka Chopra still in this familiar environment now that she's set to lead a major US network drama series. I've never been a huge fan, but I've also been the first to admit her talent. 7 Khoon Maaf is still her finest work, but if her mainstream US success leads to more people discovering that Bhardwaj gem, I am all for it. Farhan Akhtar looks really good in a t-shirt. ...but Farhan Akhtar annoyingly wrote the character he himself played the Righteous Male Feminist dialogue. Okay, buddy. Okay. Any Body Can Dance 2 - This one blew my hair back. Is this a movie? Is this just things happening on celluloid in a somewhat sequential manner? Was ABCD the first this bad and I just didn't notice, too swept up in the glorious dance sequences? 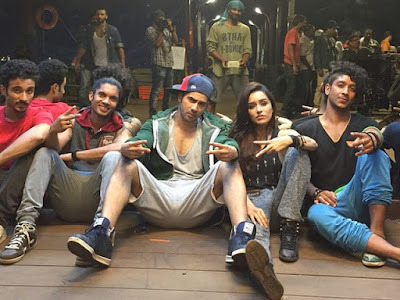 ABCD2 sure feels like a non-movie, with things happening to characters one barely knows, with every frequent conflict solved two lines of dialogue later by multiple deux ex machina, with cardboard cut-outs having emotions like stickers attached and removed easily for plot convenience. The dance sequences are okay, but with absolutely no emotional connection to anything else that is happening, they feel strangely hollow. I enjoyed seeing the familiar faces from the first film, including Lauren Gottlieb, but holy moly. Don't suffer through this one like I did, even for shirtless Varun Dhawan and some okay naach-gaana. 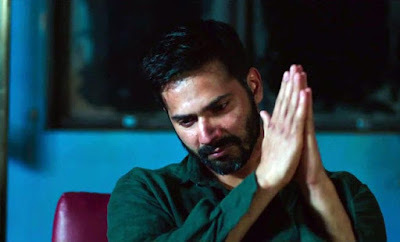 Badlapur - Am I going to hate Badlapur, I asked my Twitter timeline multiple times, seeing the review summaries pop up here and there, and for the most part people either let their silence on the matter speak for itself, or just told me a flat-out "most likely". But what with director favourite Sriram Raghavan (yes, I know Agent Vinod happened, but I blame that one on Saif), established favourite Nawazuddin and emerging favourite Varun Dhawan, how was I to ignore this film? It was the bane of my existence until I would finally see it. So I did. In another mood, another time, this might have become one of my flawed favourites, one that I could re-watch and re-examine for themes and nuances in performances, but at this time, during the mood I was in, I checked out about 40 minutes into the film and never quite checked back in.The tale of revenge turning one man (Dhawan) into a monster as the culprit (Siddiqui) withers in jail is certainly an intriguing one, especially held up against the empowerment through revenge narrative that was Raghavan's first film Ek Hasina Thi (11 years old this year, wow). And yet, when it was all said and done, I wondered if I should have just rewatched his debut. Raghavan remains a capable director, allowing his leads to shine and for audiences to gain new appreciation for their range, but the "women problem" remains. Huma Qureshi, Yami Gautam, Divya Dutta and Radhika Apte all feature and do great with what little they're given, but the way the other characters or the camera and narrative choices treat them doesn't sit right with me. Sexual coercion can be played up in a way that empathises with the victim and recognises the perpetrator as vile, but instead such scenes are merely used for titillation for the camera and as a demonstration of the male lead's sickening power over his victims. It is disturbing to me when the narrative doesn't condemn a morally ambiguous character's misogyny but instead throws it up on the screen unquestioningly as a fact of life. It's all about choices in portrayal, and Raghavan seems to make the least considered ones each and every time. Some years back I talked about how Kucche Dhaage, a 70's drama thriller, deconstructed the revenge tale so often found in Indian films. It portrays the horrible things people do for revenge, and also how this desire to avenge wrecks the people involved psychologically. In some ways, it lets these human monsters off the hook a little too much, giving them a redemption arc on the second half, whilst also showing that since they've devoted themselves to the violence of revenge, they can't ever lead normal lives after it. Badlapur, in many ways, is an even more brutal, and unrelenting deconstruction of revenge narratives, but as Indian films often are, it's still too concerned with its murky lead, not his victims. As much as I hated this film, I'm not ready to give up on Raghavan yet, such is my deep affection for his first two films. But would I recommend this one? No chance in hell. Blogging hiatus maybe kind of sort over. Pakka promise. I haven't written here much at all, because truth be told I have not really been watching much Indian cinema. I had a very boring first half of the year and then a very chaotic, strange late 20's crisis-filled second half of the year that seems to have settled down a bit now. A Bollywood film that was partially filmed in Finland came out (Shamitabh) and I still haven't seen it. I noticed even from the periphery of Indian film conversations that women have become the main talking point, whether it's about who's ruling the industry (Deepika vs Kangana, not Ranbir vs Ranveer or whoever else) or whether it's about their depiction in films, in both positive and negative. Times change but at a snail's pace, but that change is definitely welcome. NH10, Bajrangi Bhaijaan and the French-Indian co-production indie Sunrise all were shown at Helsinki International Film Festival 2015. Expect reviews (well, mini reviews) soon. And that's really about it. I'm trying to play catch up with recent Hindi films and it's been going swimmingly, and I'm enjoying it a lot. What kind of bugs me, though, is the recent trend of a lot of Southie films, particularly Tamil, seeing absolutely horrid DVD releases with no subtitles. I guess the way things are headed, DVD is dead and streaming is king, but I'm still the loser who values physical objects (my Indian film collection is proudly on display in my apartment), and should I want to dive back into DVD hoarding, I would hope I could find some of those newer Tamil films, too. In the meantime, though, I should probably investigate these new streaming platforms more. Considering I began the year enjoying the delights and heights of a fancy Chennai hotel at a New Year's Eve party, you'd think I'd have spent the rest of it all caught up in the glam of the various film industries. Instead, this was another one of those years I assume I will continue having, where my Indian film interest comes and goes in spurts. One week it's six movies, the next four weeks it's absolutely none. Stop and start, stop and start. Such is the nature of my fandom, it seems. Still, even as oddly paced as my film watching is these days, I did manage to catch most of the big releases, or at least the films I wanted to see, or felt like I ought to see. This post is a quick round up, certainly not inclusive of all the 2014 films I've yet to catch up to, working on that DVD release delay as I usually do. I want to make a really horrible, hamfisted food metaphor about how HSKD is all about using leftovers from other films and somehow spinning the most gorgeous meal out of them, but you know what? I'm not sure gives the movie enough credit. It's made of fresh ingredients, despite being a formulaic romcom that we've seen a million times, to the point where everything feels like a throwback, but so good and well-written that it feels completely fresh. In an incredible year for Alia Bhatt, she completely shone in this and Varun Dhawan also proved why he's among the most promising of the new debuts in the past few years. I should rewatch this, because it's probably the only film I saw all year that I actually really want to rewatch. 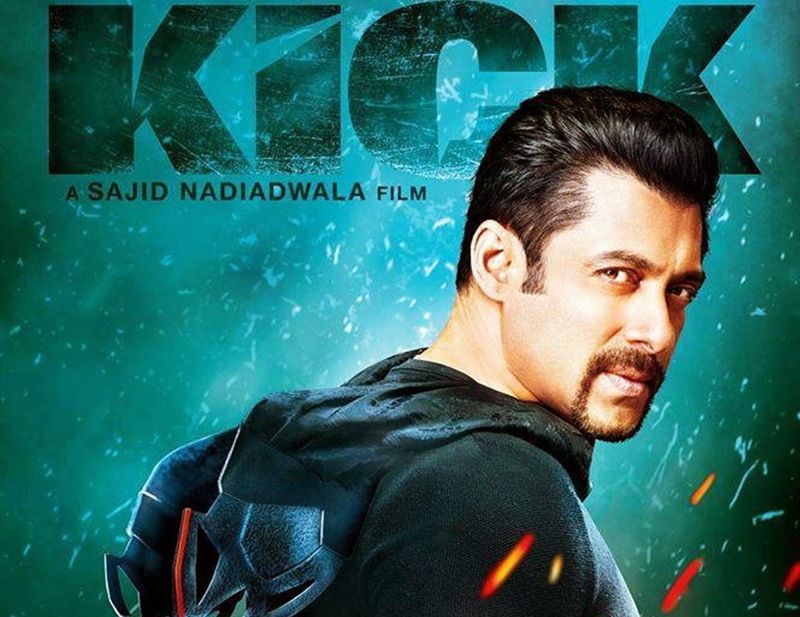 I don't even know if I watched Kick or if Kick just happened at me. It washed over me in many waves, each more inane than the previous one. I guess I liked it, but I also hated it because it was just so stupid, but it was so stupid it was kind of beautiful. It was the kind of film where I want to want more out of it, because films this inane should not be considered the height of film making, but at the same time, it was so much fun as it happened that it's hard to hate on it too much. I can only pretend to be so pretentious. Yeah, I'm only posting about this to gloat. It was fantastic and I can't believe I got so lucky as to be in India when it happened. 2014 kicked off with everybody laughing at this young woman for giving an uneducated answer on a chat show, and I couldn't really blame them. She was not great in her debut, and even though she had intriguing movies in the pipeline, I was not anticipating any of them all that much. Then Highway came along and I loved it, and then Humpty cemented her year. I have not seen 2 States yet because after actually reading Chetan Bhagat I've soured on film adaptations of his book but just those two films alone make her one of the most interesting names to look out for in 2015. I developed a very sudden affection for this guy after seeing him in Once Upon a Time in Mumbaai in late 2012/early 2013 and have been following his career ever since. I feel like last year was the year where he began being more of a topic of conversation and I'm really happy for it, though I suspect we will still see him in Bhatt-y thrillers and playing second fiddle to whoever Khan but whatever, I'm just happy more people are into him now that they've seen him in Highway and Kick. He's so good and delicious, and always puts in maximum effort on screen. I just really like him. Vidya Balan had a pretty uneven year, as I hear Shaadi Ke Side Effects is just not very good, but I did enjoy Bobby Jasoos a lot. Rani just had Mardaani but Mardaani is very much better than nothing, because Mardaani was quite a showing. I'm incredibly happy I bought this Tamil black comedy from India, because it turned out to be one of the laugh-out-loud funniest comedies I've seen from India in a long while and its satiric edge on Indian society was razor sharp. 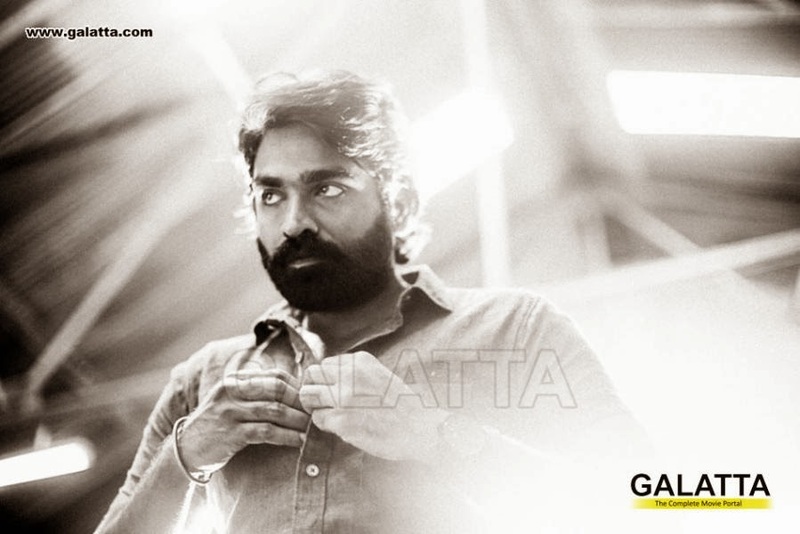 Plus it introduced me to Vijay Sethupathi, pictured here. I've not seen enough him to know if he's a favourite yet but so far so good, in all honesty. Films I Missed Out On But Will Check Out: Haider, PK, Finding Fanny, Ugly, Gulaab Gang, Deddh Ishqiya. If you have any recommendations outside that list of 2014 films I need to check out, I am all ears! 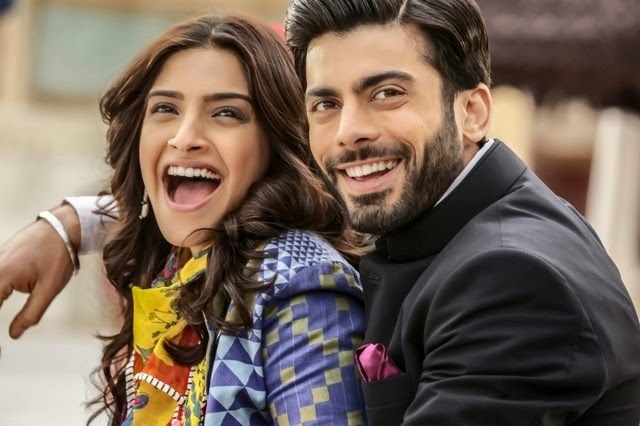 The year end romantic film bloat: Khoobsurat, Daawat-e-Ishq & Kill Dil. So it finally happened: Shaad Ali has has a misfire that I actually agree with the haters on. Jhoom Barabar Jhoom was a film not everybody was on board with (critics and audiences loathed it, but it gained a cult following that cannot stop rewatching Ticket To Hollywood), and Bunty aur Babli is not a universal dil squish, either, but I legitimately found myself telling a friend earlier this year, "He hasn't made a bad film yet." Well, he has now. 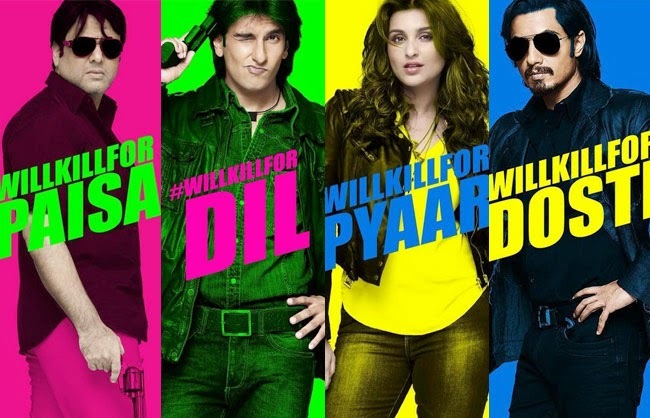 Kill Dil arrives limply clichéd from the get-go, but never catches fire in terms of story, visuals or emotions. The tale of two rascals (Ranveer Singh & Ali Zafar) separated by one of them wanting to turn good as love conquers all (Parineeti Chopra) while a father figure disapproves (a spry Govinda performance) just never really goes anywhere interesting, and it's a shame. I get the sense it's trying to occupy some clever mid-ground between being an unapologetic tribute and/or parody to 90's cheeseball actioners and a more modern take on an age-old story, but it never reaches the point of just being a story you buy into. Instead, everybody in the film falters when the story provides such a shaky surface for them. Ali Zafar is good but doesn't frankly get to do much, Govinda has some great moments but his character is unlikable, and the main pair simply doesn't exude much of anything, despite trying very hard. I wish I had an explanation for why this doesn't work besides the obvious two: don't center your movie around cold-blooded murder, and aspire to be more than a tribute to older films. Khoobsurat at least partly succeeds in being a part of the genre it aspires to be: a Disney princess romance in the 21st century. Sonam Kapoor's Milli is a your standard young adult novel heroine, sub-sect Mary Sue batallion. She's clutzy! She's good at her job! She cares about other people but has zero social skills! She says the wrong thing, it's awkward! A cute guy (newcomer, way-too-good-for-all-of-this Fawad Afzal Khan) is annoyed by her at first but really likes her, though, because she's just so lovable. I liked this film for the fluffpiece that it was, and then I got increasingly impatient with it. I realised quickly I was no longer a young girl, but a young woman; I no longer want to be a princess. I can't believe in these inane fantasies anymore unless they have some sort of characterisation and fantastic acting behind them, and Sonam doesn't quite get there. It feels uncomfortable to watch her try; the best of acting is so effortless, you aren't forced to think about it as you watch somebody emote their way through a fairly simple scene. About an hour in the movie had lost me, and I wasn't going to be swept away by it. Ah well. What a strange year for Parineeti, to start out as one of my absolute favourite newcomers of the past years and then end up with a confusingly mixed resumé towards the end, completely outdone by a woman whose first film was my worst film of 2012 by a long, long shot (Alia has come a long way, hasn't she?). I wasn't particularly into Hasee Toh Phasee, Kill Dil was disappointing, but hey, at least she had this one. 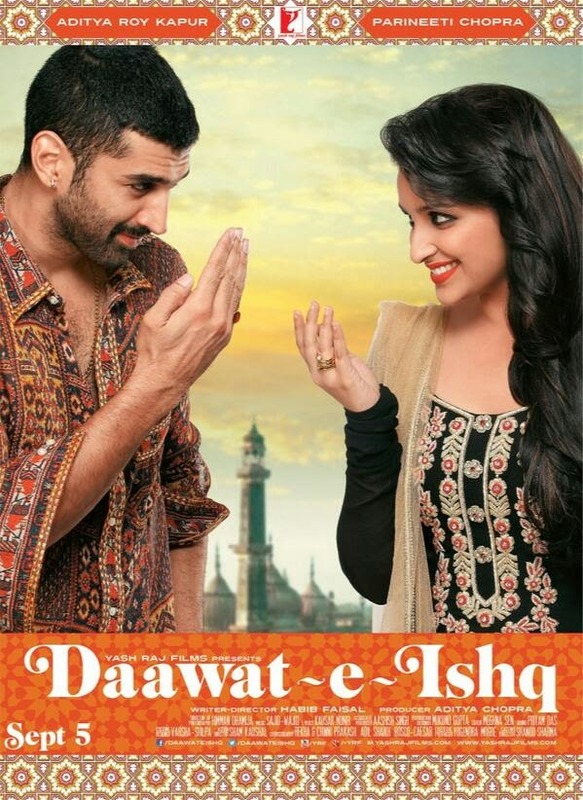 Daawat-e-Ishq, a feast of love, was a vaguely food-themed movie that touches on the issue of dowry, and ends up being a modestly lovely little romcom. At the same time, however, it's all just so unmemorable I almost struggle to come up with other adjectives to describe it. There's some cuteness, delicious food scenes, and some solid acting by both of the young leads (Aditya Roy Kapoor). The big conversation of the past few years has been the continued success or lack of success of the new generation of actors. Looking over at Parineeti Chopra's filmography, she seems destined to pick films that aren't quite amazing, and therefore never display her skills in a way that her fans, such as myself, would quite hope. It's quite easy to say "pick better movies" but who knows what kind of offers she's even getting. I still continue to hope for good things for her; she's got a spark that I think is missing from many of the other newcomers, so I hope that her presence is here to stay. As the filmi year 2014 draws to a close, I'll be writing up my year's end post, and once again must apologise for not maintaining the blog as diligently as I probably should've. Still, I did a lot of travel this year, as well as a lot of work, and I even crossed some things off my bucket list. I've also got some movies I've yet to write about - including my favourite film of the year. Mumbai Police: a lesson in story mechanics. I'm a real admirer of breaking up chronological order in story-telling. At times it may feel like a cheap gimmick to employ when one's story is not that intriguing to begin with, but sometimes it really draws the best out of a simple story, and when it comes to movies, it's a very interesting way to allow the audience to play a detective, piecing together the story as it slowly gets revealed to us, and to give your actors something to work with. They can play with what to show and what not to show the audience, and all the interesting facets of a character, being revealed slowly over time, all of this can not only help a story but make a story stand out. Modern Malayalam films seem to love to do this. You set up a story where the subject of the mystery gets peeled back like an onion, layer by layer, in form of flashbacks and flashbacks within flashbacks. Luckily, Malayalam cinema seems to also have plenty of capable film makers able to hold these narratives together in a coherent manner. Mumbai Police (2013) got such rave reviews that even I, who barely knows what's happening in Kerala in terms of cinema, heard about it. Prithviraj plays Antony Moses, a detective who gets into a car accident and loses much of his recent memory. More's the pity, as he had just figured out who killed fellow officer Aaryan (Jayasurya), and must now keep his memory loss a secret from everybody apart from brother-in-law and senior officer Farhan (Rahman), while piecing together the case from scratch, to reach his previous conclusion about the killer. The real triumph of the film is simply the steady, gripping pace with which it lays out the mystery, and all its components. We don't quite know Antony, because he doesn't quite know himself - he's alien even to himself due to the memory loss, and so every reaction to him is new to us as much as it is to him. Rahman's performance simultaneously reflects everything and nothing all at once, and Jayasurya's performance as the affable Aaryan completes the trio of stellar performances. The only real problem with the film - apart from some slightly spoilerous niggles I might have about it - is the fact that I don't know if such an intense story that relies heavily on the slow reveal would stand up many a rewatch. With that said, I absolutely must see it a second time. Main Tera Hero. It's a film. It exists. It's not very good. Every now and then I wonder why I watch movies, besides the fact my life is boring and ultimately empty, and circle back to thinking that in some ways I watch each film with the sincere wish that it's so good I would want to rewatch it, and make it a repeat pleasure, as opposed to just a memory of a couple of hours spent (or wasted). Not every movie has to reach this lofty goal, and indeed, if only one in ten films I watch, that's still pretty good for me. 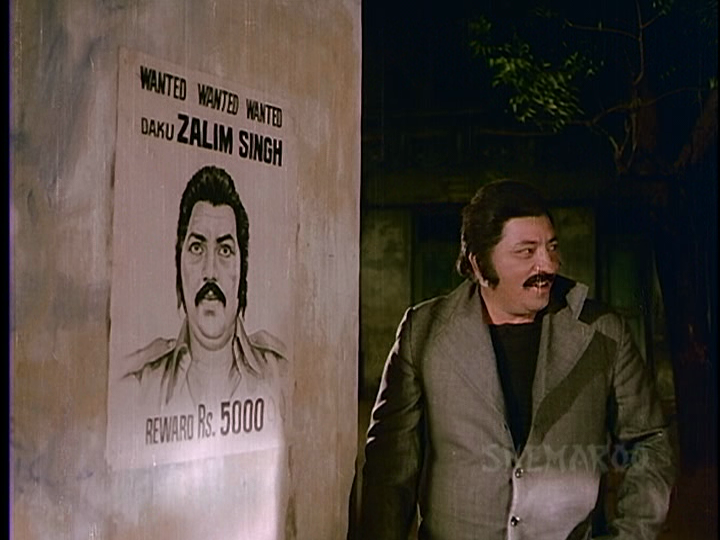 That's probably why I hadn't seen a David Dhawan film until now. Some directors just have a style that you don't really have to watch to know; watching a few songs, a scene here or there, and reading other people's writings, you kind of pick up on what makes a director distinct from others. And much as I love comedy, every comedy I consider fantastic is not described by adjectives like "brainless" or "ear-ringingly loud". So I just figured out his oeuvre wouldn't be my thing, so I smartly avoided it, until the point came when his latest film actually interested me a little, and I thought, "How bad could it be?" And oh boy, was this terrible, and I laughed a lot, mostly at my stupid self. At least it didn't damage my view of anybody: I have some fondness for Varun Dhawan, and I think at one point I even had fondness for Ileana (see also: Aata obsession), and I think I still have the same fondness for both of them. But yeah, this was not great. Main Tera Hero stars Varun Dhawan as Seenu, an unlikable human being who seems to be on some magical stimulant perhaps called life, who fails upwards into a Bangalore college and proceeds to torment the existence of beautiful Sunaina (Ileana). Woefully, Sunaine already has a stalker who only likes her because of her looks, the menacing Angad (Arunoday Singh), and therefore a game of groan-inducing one-upmanship ensues, and Sunaina looks beautiful during it. On the second half, this riveting tale is complicated by the appearance of Ayesha (Nargis Fahkri), who's in love with Seenu, only not really, because she's just kind of dim. Comedy! For a comedy to be so loud and clichéd and still have a chance of working, everybody has to commit and go all in on it, and for the most part, the cast does so. Arunoday Singh as Angad actually does extra work, and something about his ludicrously massive body makes for surprisingly good physical comedy. Varun commits, too, but Seenu is such a loathable character to begin with, it's hard to truly enjoy it. Amidst the ridiculousness, you do see those glimpses of that 'it' factor that may be the thing that made Varun stand out in the Student of the Year trio, in my eyes, but those glimpses are rather fleeting. The actresses do fine with the pitiful little they're given to work with, the songs are grating, but the movie doesn't thankfully drag. Still, I don't know, unless you're the type with the taste for this breed of comedy, it's not particularly worth your two hours. Unless, I don't know, Varun shirtless appeals to you on some kind of primal level, in which case, hey, have at it. What makes Indian cinema so easy to ignore? For over a decade, or at least as long as I can remember, the Helsinki International Film Festival has had at least one Indian film in their programme, every single year. Last year, we were treated to four different films, ranging from the indie gem Monsoon Shootout to the big budget extravaganza of Yeh Jawaani Hai Deewani. A few years back, we even got the megalomaniac Enthiran, sending every Tamizhan Finland-dweller to the theater to whistle at Rajnikanth's entrance. Overall, HIFF has consistently served up something delightful for us few Bollywood fans habiting this northern land, and a rare treat for those people who love the occasional Indian film, but don't necessarily seek them out all year round. Then this year, nothing. Zilch. Kuch nahin. When asked for a reason, HIFF responded on Facebook that another film festival would have a few Bollywood aces up their sleeve later in the spring. No offence to Season Film Festival, which I like but tend to miss due to it springing up (no pun intended) on me and my schedules every spring, but I found this response even more infuriating than not having a single Indian film on the schedule. So there's not enough room for two festivals to both have a few films from a country that produces hundreds of films every year? Without getting deeper into the flawed booking models of domestic film festivals, I've always wondered why it is that Indian cinema is so universally easy to ignore, by film festivals and well-known international critics alike. The same people who appreciate varied genres, various types of films from all kinds of corners of the world, commercial, non-commercial, small budget, big budget, success or flop, all have no-India blinders on, apart from the occasional dip into the Irrfan Khan fare or a Satyajit Ray retrospective. In this post, I'm going to explore a few potential reasons and ways to argue against them, or think outside of them. 1. Indian cinema is seen as one genre. Not every Indian film is a romantic comedy musical with young people running through fields and dancing around ceaselessly, yet this is such a dominant stereotype that the whole concept of "different" cinema has become a weird cliché. The confusion arises from the two vastly different forms of genre distinction. In Hollywood, certain genres that we know now today as comedy, horror, romance, action etc, formed to serve a certain purpose. In commercial Indian cinema, a particular format of incorporating song sequences into narrative sequences without fully adopting the genre trappings of what Hollywood calls 'musicals' became largely the norm, influenced by not just foreign cinema, but local theater traditions as well. Slowly, the concept of masala, having varied proportions of different genres fluidly co-existing in one film, became the ideal in commercial cinema. Potboilers would entertain all kinds of audiences at once. In modern Hindi cinema, and in other Indian film industries as well, the masala tends to be both a format and a genre. You can have masala format for a genre film - the song and dance sequences in a gangster film, the melodrama in a sports film - as well as have a full-on masala film, with a romantic track, a comedy track, and action, drama (to paraphrase the drunken paramour Veeru from Sholay, "emotion, drrrrrama, trrrragedy"), villains and mothers and heroines and songs, all thrown into the pot and stirred to perfection. There is a tendency to regard all of this as one and the same, even though they're two very different, and both valid, ways of making a movie work for the local audiences. The logic of this dismissal works in two ways: one, lump different types of films with little in common to a "masala" genre that people outside India rarely understand to begin with, and then two, to highlight everything that isn't masala (either formatted as masala, or in the 'genre' of masala) as being different and alternative and completely out of the ordinary, even when 'out of the ordinary' in this case could easily be the vast majority of movies produced in India. 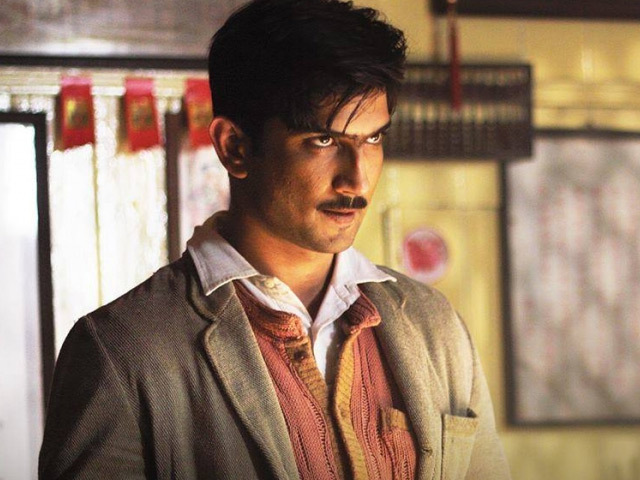 Indian film fans find themselves recommending films by telling non-fans, "This is different," because the prejudice towards what is "the norm" in Indian cinema is so prevalent among international moviegoers. Indian films, for all their variety, are at best lumped into a fun colourful ball of frothy masala, and at worst regarded as a universally understood joke. 2. Indian cinema does a poor job marketing itself (and so does everybody else). The saddest thing about this "all the same" misconception is that at times Indian industry people perpetuate it themselves. If you take a drink every time an actor or a director promotes a movie by calling it different, you'll drink yourself to death before you finish a copy of Filmfare (I exaggerate but still). The failure to promote a different idea of Indian films doesn't stop there, though. In most countries of the world, Indian films are scarcely available, subtitled or dubbed to local languages, or even to a lingua franca, such as English. In the places where they are available, they're barely marketed to local audiences outside the Indian diaspora. When they are marketed, they are usually marketed as "different" (to what the stereotype of Bollywood films is), even though the local non-Indian audiences might have no clue whatsoever what the actual Indian films that fit the norm look like (and when they see such films, they may actually very much enjoy them). I'm not pointing the finger at Bollywood or Tollywood or anybody else, because I'm as guilty of this as anybody else. When somebody asks me for recomendations, my mind jumps to the Band Baaja Baarats and Amar Akbar Anthonys of the masala world, then back-pedals to something "different" from those, as if masala is a shameful thing, as opposed to a wonderful, unique, amazing form of making films. It's a hard cycle to get out of, so I've tried to take a step back and instead ask the person, what types of films they like. Indian films have all kinds. Take your pick. But it is tragic, because there is so much cinema that even I, a voracious and mostly fearless explorer of Indian cinema, am missing out on, due to lack of availability or subtitles. Whether it's Malayalam films, or older Tamil films, it can be a struggle to find information, recommendations, subtitled DVDs, you name it, there's a lack of it. This is very unfortunate, and sadly there isn't really an easy fix for it. 3. Quantity doesn't signify quality. It's an absolutely one-of-a-kind film country, with a distinctly unique history when it comes to genre and presentations of it, with multiple, interesting and thriving local, regional film industries (both commercial and more arthouse-minded) that serve important functions to local cultures and languages. For better and for worse, it's influenced Indian politics and society, and continues to do so today. It connects a huge diaspora back to their place of origin. It's at once localized and regional, and national, and international and global. It's just too damn interesting to stay ignorant about, and too vast to dismiss entirely.